He would preach about the great disappointment of the election of the first African American President. He would admonish BHO for his broken promises, straight forward lies and lack of attempt to stop the media’s use of “the race card” to silence opponents. Dr. King preached on judging people by the content of their character and not by the color of their skin. BHO has welcomed the support of far left zealots that cry “RACISM” when the American public cries about Massive unsustainable spending and wealth redistribution. 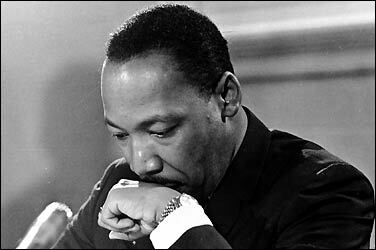 Dr. King would have rebuked the 2009 and 2010 Senate and House for not DOING THE WILL OF THE PEOPLE. Dr. King would have been proud of the Millions of Tea partiers that marched peacefully on capitol hill in September of 2009, and LEFT IT CLEAN. Unlike the Inauguration crowd that left a pile of trash and KFC buckets that cost the tax payers $250,000 to clean up. That would have made Dr. King cry. Dr. King gave his life so Black Americans could have equal rights in a country that use to call them property. He would hang his head in shame to see the product of this liberation become one of the most corrupt presidents in the history of our nation. He would be especially disappointed to see how the first black President has to set equality back 40 years in this country. On this day I feel Barack Hussein Obama should apologize to Dr. King and his family as well as all of the soldiers of the civil war that died to end slavery. What Obama is bringing America is a new form of Slavery. Some call it “Plantation politics”. Black Americans are quick to see that the David Sterns and Wayne Rathkes of SEIU and ACORN have worked so hard for the democrats to set up a socialist agenda. This is evident in the Black woman who was filmed proclaiming :”If I vote for Obama, I’ll never have to worry about money again”. Martin Luther King would be so ashamed of how his life’s work went for this. ← APRIL 2014 ALL HELL BREAKS LOOSE?